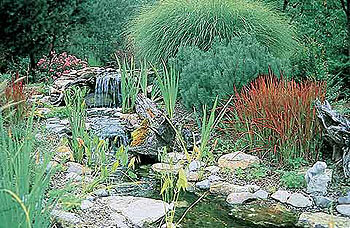 There are many factors to be considered before even starting any landscaping project. You should consider the sunlight and the shade, how much water is available, how much maintenance are you prepared to undertake, do you want evergreen plants, what is native flora to you area and so many other influencing factors. 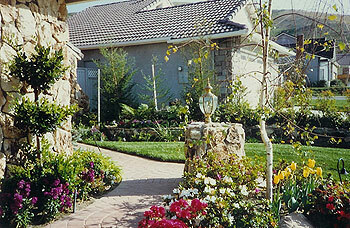 Landscape Locators knows Orange County landscaping so let one of our experts help you plan your new garden. Is there a particular style you like? Do you have any specific influences or are any family members allergic to any type of plant? The list of questions can go on and on. 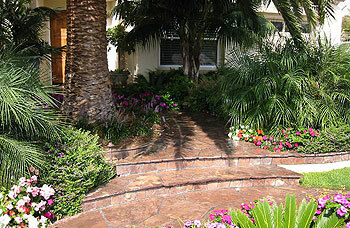 Let Landscape Locators guide you through the myriad of possibilities in Orange County landscaping. at (888) 706-7900 to schedule a free in-home consultation. Landscape Locators operates in many locations in California including San Francisco, San Jose, Los Angeles, Orange County and San Diego. We utilized the services of Landscape Locators to qualify and solicit bids from legitimate construction companies for a major remodel of our property. At no cost to us, they came to our home, listened to what we wanted, took measurements, developed a conceptual drawing of the work to be completed and solicited bids from different contractors. The construction company that we used did a fantastic job transforming our once unattractive backyard into a beautiful tropical paradise. They completed the project on time and on budget. 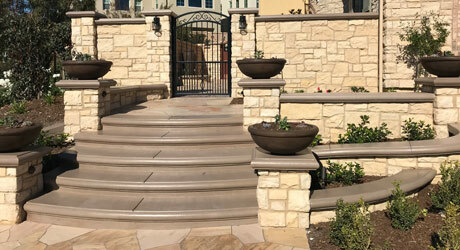 I would highly recommend Landscape Locators to anyone wanting to add elegance and value to their home. Allow me this opportunity to express how pleased my wife and I are with the services that Landscape Locators provided us when we were considering landscaping our back yard. It was apparent from the beginning that trying to find a landscaper on our own was going to require a lot of time and energy. The time and effort that Landscape Locators saved us is immeasurable. The final landscaping results were completely to our satisfaction, and constantly draw compliments from our friends and relatives. Landscape Locators fulfilled all that they set out to do. All of their research and knowledge saved us a ton of time and effort. In just days we had a landscaper ready to go. Landscape Locators really paid attention to the entire job. They called to check in to make sure everything was going smoothly and would stop by just to make sure we were happy with how everything was going. 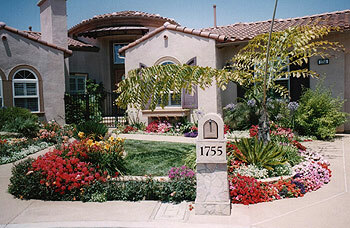 Landscape Locators was professional and at the same time, down to earth, and very easy to work with. We would like to thank Landscape Locators for the great job they did in securing us a landscaper for our back yard. My wife and I spent much time and effort finding a landscaper to transform our dirt lot into a yard. We were unhappy with the landscaper we had chosen and decided to find someone else to finish the job. We got a flier in the mail from Landscape Locators and gave them a call. They came out and we discussed what we wanted done, took all the measurements and had bids for us within a couple weeks. The contractor we decided on did an excellent job — they started 2 weeks before the promised date and completed in less than 3 weeks. We would highly recommend Landscape Locators. You don’t have to contact each contractor, discussing the plans and waiting weeks for each bid — their service takes care of the work for you. We wish we had found them in the first place. Landscape Locators was a great resource for us. We had developed a plan for our courtyard but didn’t know where to begin in finding a reputable contractor. Landscape Locators took our vision and developed a cost estimate framework. Seeking bids from three contractors helped identify a realistic budget and the best firm for the job. Our project would have been delayed if we had attempted to manage the bidding process ourselves. We also appreciated their follow-up and support during construction. I would like to thank you for your service. The landscaping is beautiful. What a pleasure it was to have the contractor actually show up to work each day! They worked fast and were very neat. We were very happy with the company we selected. 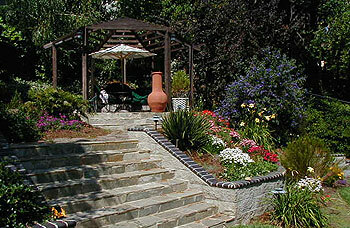 We have done new landscaping a few times now; and this was by far the best experience we have ever had. Prior to meeting Landscape Locators, we went to Home and Garden Shows and signed up to have contractors come and give us a design and estimate. We also called numerous ads in local directories and time after time the contractors never responded promptly, or came back after initial contact. We then learned of Landscape Locators and decided to give them a try. They responded quickly and did all the work we needed to get our yard done. They got different bids from various landscapers after consulting with us about design and budget. The work is all done and we are thrilled. Our vision and expectations were met and we would recommend this as THE ONLY WAY to get the job done. Thank you for your assistance in helping us find a landscape company. We really appreciate the time you spent with us going over our options, and making some great suggestions for our yard. It was wonderful how you first figured out what we were looking for, and then found someone that would meet our project needs. The contractor you found us is wonderful to work with and he’s done a phenomenal job on our yard! We couldn’t be more pleased. We’re very grateful that we used your service. My husband and I highly recommend Landscape Locators! My wife and I had been putting off doing our backyard landscaping for the last two years because each time we spoke with a landscaper we felt like we were being quoted very high prices and since each one has their own pricing structure, we had no reasonable way to compare prices. Then one day we found Landscape Locators via a brochure in our mail. After meeting with Landscape Locators, they presented us with quotes from different companies in a spreadsheet form such that we could compare what each landscaper charged for various items (lighting, lawn, etc…). This allowed us to make an objective decision. The best part about Landscape Locators is that we got what we wanted, in the time frame and budget we allocated and Landscape Locators didn’t charge us a penny! We were very satisfied with the service provided by Landscape Locators and would highly recommend them to anyone that is contemplating getting landscaping work done. Thank you so much for helping us find our landscape contractor. We bought a new home in a new subdivision and really needed some guidance finding just the right company to design and complete a large landscaping project. Landscape Locators saved us so much time and energy by helping us draw up plans and obtain bids from fine local landscape contractors. They saved us money by getting competitive bids and helping us negotiate with our contractor on the final project. The job is almost complete and it is beautiful. We would recommend your services to anyone looking to landscape their home. You provide invaluable information all free of charge. Just wanted to send you a note to say thank you for your help in making our house a home! The landscaping turned out beautiful. The landscape and hardscape turned out better than we had imagined – and on budget too! Sometimes we do not take the time to let somebody know about the positive things that happen – so we wanted to do that for you. We have had neighbors ask us for information – and have forwarded your card to them. I hope that helps you going forward. All of our best. Landscape Locators was a great help in finding us a landscaper and getting us bids. I had a very difficult time getting any landscapers to even return my calls when I tried to get bids myself. The landscape plan provided by Landscape Locators was extremely helpful in getting HOA approval and did provide a basis for the bids. I would recommend their service to anyone who can not spend their own valuable time finding landscapers and getting bids. 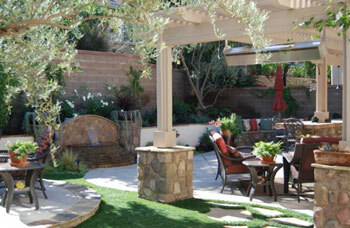 Landscaping was a less stressful and more enjoyable experience because of your company. Landscape Locators took such an overwhelming project and made it simple and manageable. The yard came out beautiful and we are so happy with the results. 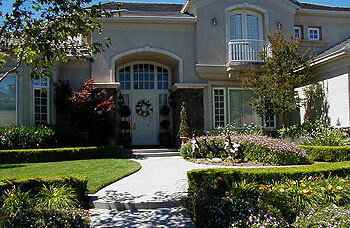 Looking for dependable landscapers was becoming overwhelming but they really made everything simple and easy. It was great the way that they followed up even during the project and came by to make sure that everything was going according to plan. Working with Landscape Locators was a dream! 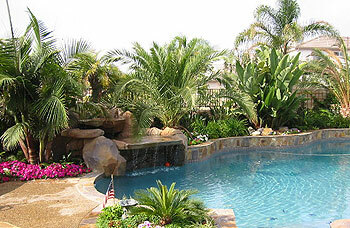 They found me a great pool contractor at a very fair price and saved me countless hours of research and planning. They were always professional, friendly, and looked out for my best interest. As a busy two-career couple we have very little time to invest in collecting bids and checking references. We consider ourselves lucky to have found Landscape Locators! They offer a unique service that was perfect for us. They spent hours measuring our front yard, talking with us about the improvements we wanted, offering terrific ideas on materials and design, but most importantly developing our project requirements and collecting bids for the work. 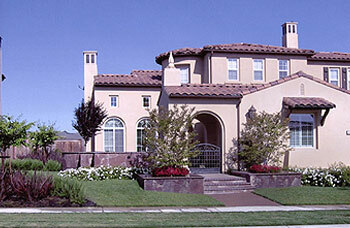 They saved us many days of work and we feel played a very important role in finding the “right” contractor for us. Our landscaping was done on time, exactly as we wanted, and we are very happy with the results! Our research also indicates that we did better on the price of the job with Landscape Locators to assist us than we would have if we had been negotiating with contractors on our own. We just wanted to drop you a note and tell you how happy we are with our “new” backyard. The contractor we chose did a fantastic job from plans on paper to reality. His crew was phenomenal and worked very hard to get everything perfect. We were constantly amazed at the end of each day with how far the project had advanced from the day before and they even finished within 3 weeks! The contractor was always available to take our calls or would return our calls within a short period of time which was very important to us. Our finished backyard looks so beautiful now and we can’t seem to spend enough time enjoying it. We are so pleased that we decided to call your company and have you help us find our contractor. Thank you again for all your help because it all started with you. We are writing you this letter to express our extreme pleasure with your company. When we moved into our new home, we were completely overwhelmed with all the tasks that we needed to complete. Landscaping was something that neither one of us had any experience with nor did we have any clue where to begin. Before getting your number we had called landscapers on our own but we feared that we were being quoted ridiculous prices because of the type of home we purchased. We then got your number from some friends of ours that used your service and were happy with what you did for them. Your representative was very knowledgeable and patient with us. He spent as much time as we wanted so we could talk through all of our ideas and he gave us a bunch of his own. When he came back to us with the bids, we were thrilled! The prices he got us were much better than those companies that came out here beforehand and quoted us what they thought they could get. He also knew the history and quality of work on all the companies so we felt very comfortable with his recommendations. The work is now done and we couldn’t be happier. Using Landscape Locators was the best move we have made since we bought our home. You made the process so easy for us, didn’t charge us any money, and found us a great landscaper at a price better than we were able to get on our own. Thank you, thank you, thank you! 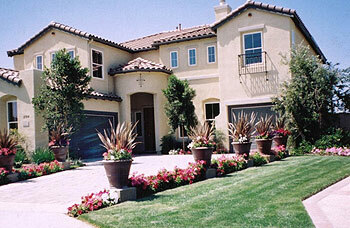 We would recommend your service as an ABSOLUTE MUST to anyone doing a landscaping project. We wanted to take a moment to thank you for assisting us with our landscape project. Without your help, this would have been a major project of securing multiple bids from various contractors. You made the process so much smoother by handling all the details for securing the bids. With your expert help we were able to compare all the estimates and make a quality decision. The contractor we chose, with your input, was truly a quality choice. 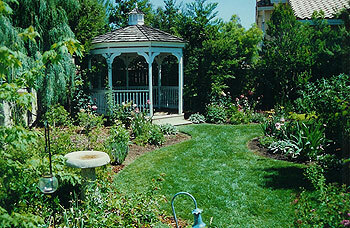 He had a vision and worked with us on transforming our once drab landscape into a beautiful setting. We continue to get compliments from people walking by our house. Going with your company was one of the wisest decisions we have ever made. If you ever need a reference for a prospective customer, please do not to hesitate to contact us, because we were truly pleased with our experience with your company. 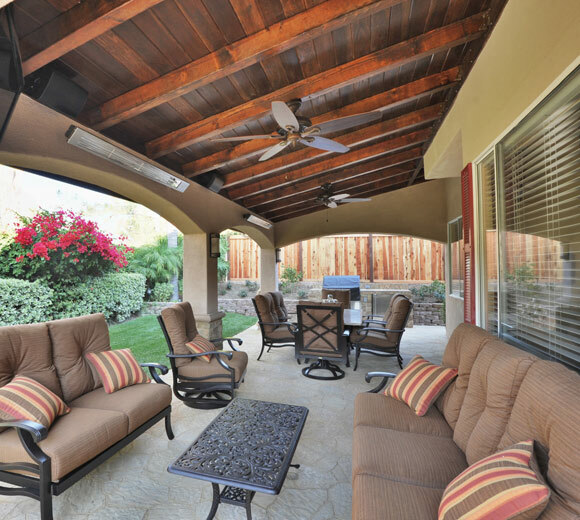 We think the best part about Landscape Locators is the “hassle free” concept. We were so stressed about finding and being able to meet with landscapers since we both work full-time and have two small children. When we saw the flier we both said right away, “Let’s try this”. This ended up being the best decision we made. We got what we wanted, our budget was considered and any meetings we did have were at convenient times for us. It was the most efficient easy major job we have done since we moved in.